I'd like to share a great new Etsy shop with you today. One month ago, KASA Collection opened its doors and started offering the world eco-friendly items made from reclaimed materials for women and babies. 10% of the KASA Collection's profits are donated to Christian charities to help the poor. Katrin, the shop's owner, is also a sweet person to talk with. Do you think these baby booties could stretch to fit my size 10 feet? No? 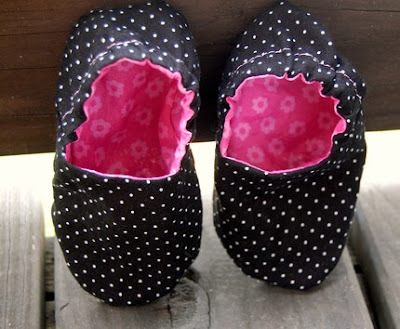 Any baby girl would look adorable in these...plus they're reversible! 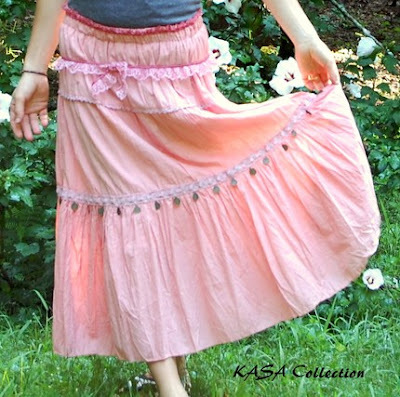 Ideal for summer warmth, this handmade piece converts from a skirt to a dress in no time. 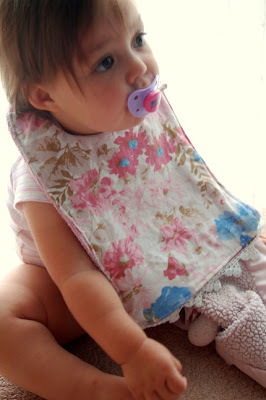 You'll have an eco-chic baby on your hands with this bib & burp cloth set made from 100% reclaimed materials. What a fun bag! 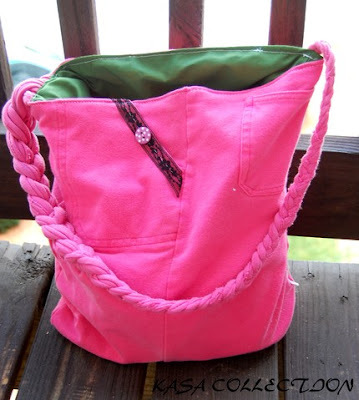 Add a punch of color with this bright pink tote. August Giveaway--Deadline to Enter is Monday! Summer's End Going on Now! Tea Lovers Must Read On! Frugal Fridays: Cupcakes for $10 or Less! Chic & Green Meeting City Girl! Chic & Green is on Vacation! A Day at the Market: Think Pink! New for August: 31 Days of Earrings!